re-surfacing M.O.T. brake test machines across the length and breadth of the nation. Our high quality re-surfacing techniques utilise hard wearing resin and anti-slip road grit, ensuring accurate readings on your M.O.T. brake tests. This will leave you with safe and happy customers. AGR Coatings provide an innovative service to the MOT industry, re-gritting worn Brake Test Machines. We operate throughout the UK to assist companies in re-coating their Brake Test Machines to provide maximum accuracy during the mandatory MOT brake tests. 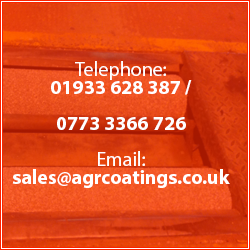 Please browse the website for examples of our work and our blog is updated regularly to provide a resource to understand the work AGR Coatings undertakes and the efficient service we provide. The contact page can be used to send a message to an AGR representative. We value our customers and aim to reply to all queries within 24 hours. You can count on us to provide a first class brake roller repair service.